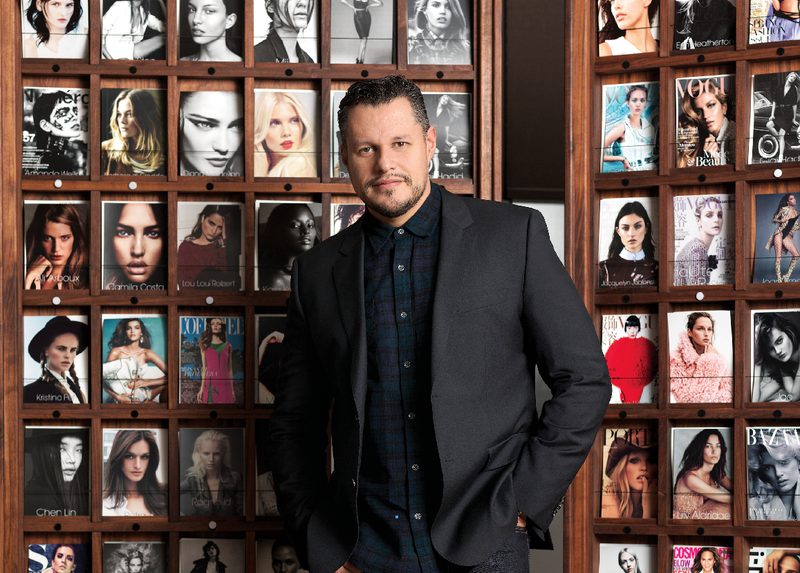 IMG Models manager Luiz Mattos is an industry vet who has enjoyed a banner year by turning Gigi Hadid into an overnight sensation. But for the native Brazilian, who has more than two decades’ experience managing the careers of girls such as Tori Praver and Devon Windsor, it was all in a day’s work. I was in law school, and my sister was a model. The owner of her agency needed legal advice and offered me a job. I never really said yes, but he picked up the phone on a Friday afternoon and said, “I’ll assume yes and see you on Monday!” When I started, the agency wasn’t doing very well. I started looking at the models’ books, and they hadn’t been using the right pictures. I changed everything in my first week. How did you end up at IMG Models in New York? I first moved to Miami, and then ended up in New York. I worked for several agencies, and then IMG and Ford offered me a job at the same time. I went to Ford, because I didn’t think I was ready for IMG. IMG is the place where everybody in this industry desires to be a manager. It’s the ultimate goal to be part of this team. I had three years of experience in the market, but I needed to know more people and get better at what I was doing. How long were you at Ford? I was there for 10 years and was very close to Katie Ford, whom I love. When the company was sold, it was time for another chapter. I was offered another job at another agency and IMG found out and called me. I accepted on the spot. Is being a manager something you’re born with or can it be learned? It’s a mix. You have it in you, but then you develop. The business changes so much—you have to watch what’s around and be able to change how you see talent. Which models do you work with? Tori Praver—she’s been very loyal—and Amanda Wellsh, who was at another agency for years just waiting for things to happen. I sent her book to everyone I know, and she ended up getting an exclusive with Gucci and then shot the campaign with Mert and Marcus. Now she has one Vogue cover after the next. Devon Windsor is phenomenal. I see her going very far. Diana Moldovan is another one of my girls—she has a beauty contract with Armani cosmetics and walked in Prada last season. Sabine Cozijnsen is another—she’s been on the cover of The Daily and has been an exclusive for Calvin Klein Collection twice. Studying and learning English. When I was 5 years old, I saw a cartoon on TV and told my mom that I couldn’t understand what they’re saying. She explained to me what English is, and I told her I wanted to learn it. When I was 6, she took me to a school two hours away that would allow me to start learning the basics. Gigi Hadid has had an incredible year. She’s super professional. My first booking with Gigi was an editorial for Vogue Brazil, so we flew to São Paulo. It was 102 degrees in the middle of the summer, and we were shooting in the morgue of an abandoned hospital. She was shooting wearing fur and scarves, and there was no air-conditioning, but she didn’t say a word and worked happily for 12 hours. What has been your proudest moment with Gigi? There have been so many, but the Maybelline New York contract was a great one. What’s it like to work with Ivan Bart? He inspires us every day. I look up to him so much. He leads and guides us in problems and happy moments. He’s a phenomenal person and friend. He teaches us so much. I learned from him to always think outside of the box. I don’t think he sleeps! Are you a big brother type? I’m like a father figure to the girls. I’m here to help them with anything they need. They respect me as a manager and like me as a friend. My relationship with them is based on respect, dedication, and friendship. How is IMG using social media to find talent? We launched the “We Love Your Genes” campaign on Instagram, which is phenomenal. Aspiring models tag their photos with #WLYG, and it’s a great way for us to find talent around the globe. You’d be amazed how many incredible girls you can find on Instagram. We’re looking at it all the time. Do you have to be obsessed with the job to do it well? No, you just have to be passionate and proud and give it all you can.